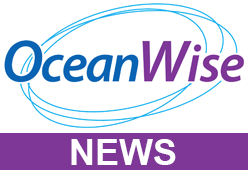 Don’t forget to register for the OceanWise Marine Data Management Awareness Course taking place on Tuesday 17th October 2017 from 0930 – 1630. This introductory course takes place at IMarEST Offices, 1 Birdcage Walk, London and includes sessions on data governance, the data life-cycle, metadata, data quality and data publishing. By attending you will gain a better appreciation of just how important data management is and how you can take control and improve the way data is managed in your own organisations. With business data volumes doubling every 1.2 years, the need for organisations to start to think about adopting data management ‘best practise’ has never been greater. Dave Mills (University of Bangor) has attended and commented that it was “a valuable course and very timely for our staff”. All are welcome but please book early to avoid disappointment as places are limited. Lunch will be provided!